As you may have seen in a previous blog post (here), I recently moved to Scotland. I've been here just under 2 weeks now and I'm just about settled in an raring to go in terms of getting to know the local food & drink scene. When shopping in nearby Inverness a few days back, we popped into the newly opened Revolution for a quick lunch stop. Revolution Inverness opened just before Christmas '17 and has since been a popular addition to the city's bars. I was lucky enough to be invited to their launch night which I attended when visiting in December. The cocktails we had that night were delicious - below. For a Thursday lunchtime, it was great to see 10 tables filled already. Our waitress greeted us at the door and took us over to our table. All of the staff we encountered were very welcoming and helpful. Our table had a great view of both the bar and restaurant areas which gave me the perfect opportunity to admire the interior. 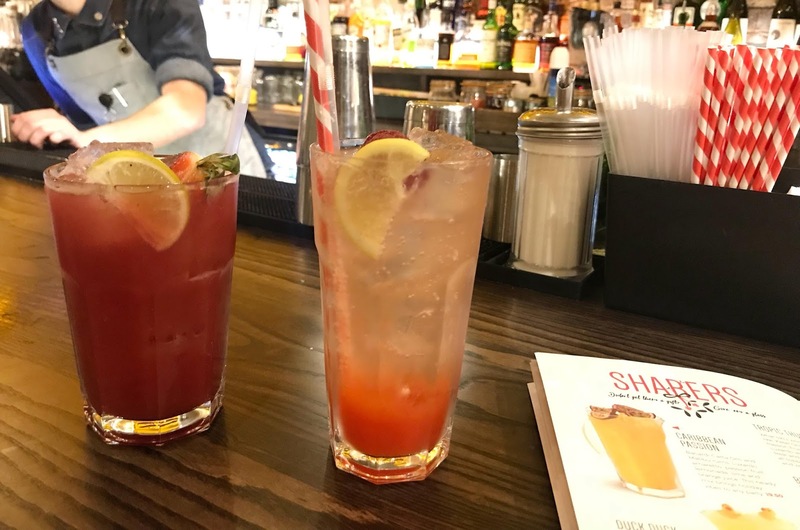 We ordered some drinks, a fruity mocktail for me and were left to browse the menus. The food menu has a range of options including small plates, sharers, burgers, pizza, sandwiches and lots more. Once I had spied the Popcorn Halloumi Wrap, I didn't need to look any further. 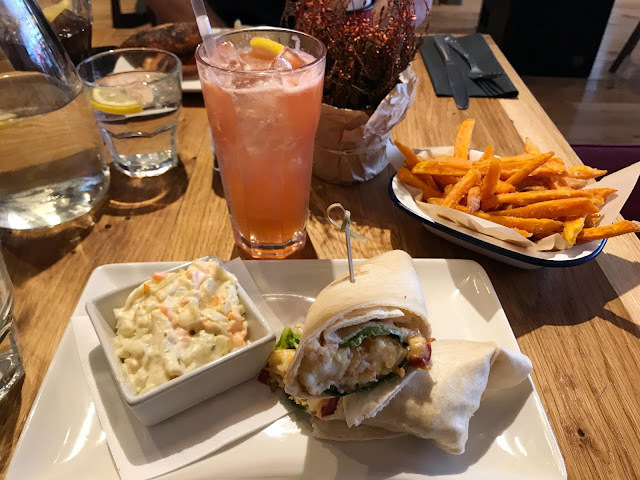 The wrap is a new addition to the menu, comes with a side of Coleslaw and sounded right up my street. I paired it with a portion of Sweet Potato Fries. It was really tasty and a perfect sized portion for lunch. The fries in particular where perfectly cooked. I can be fussy with Sweet Potato Fries as I can't stand soggy ones. These however, were crisp and full of flavour. 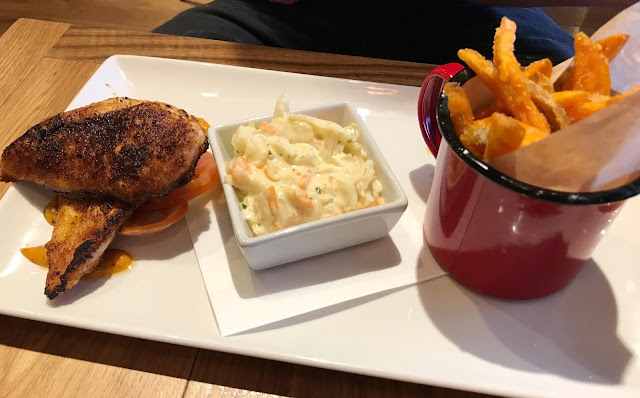 Sean went for the Blackened Chicken; Pan-fried Chicken coated in herbs and cajun spices along with Coleslaw and a portion of Sweet Potato Fries for himself. Having never eaten at a Revolution before, he didn't have very high expectations but following his meal here, is converted. 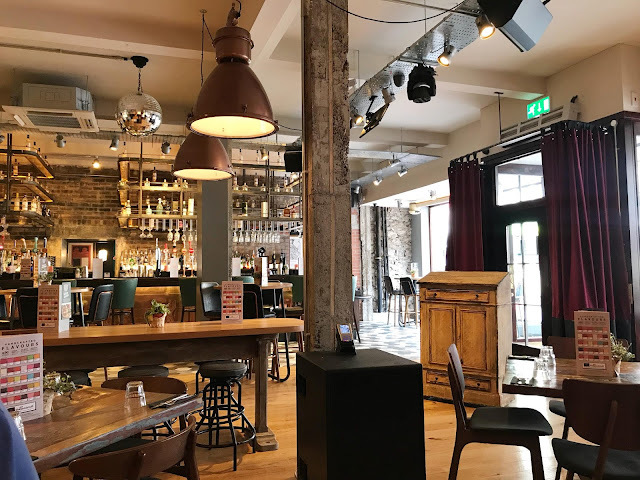 You might remember that back in 2016, I went to Revolution in Derby and wasn't overly impressed with the food side of things but my experience here in Inverness was much better. 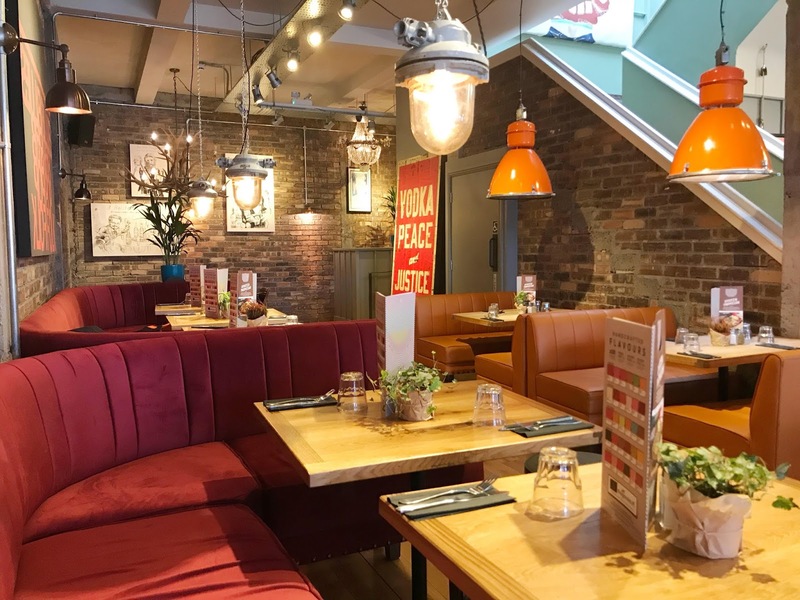 So, if you're out and about in Inverness and fancy a light lunch... or just an excuse to have a few cheeky cocktails, I'd recommend trying out Revolution. Based on Church Street, it has a central location and is open 12-12 every day - later on weekends. They regularly run offers and events too so keep your eyes peeled for those!